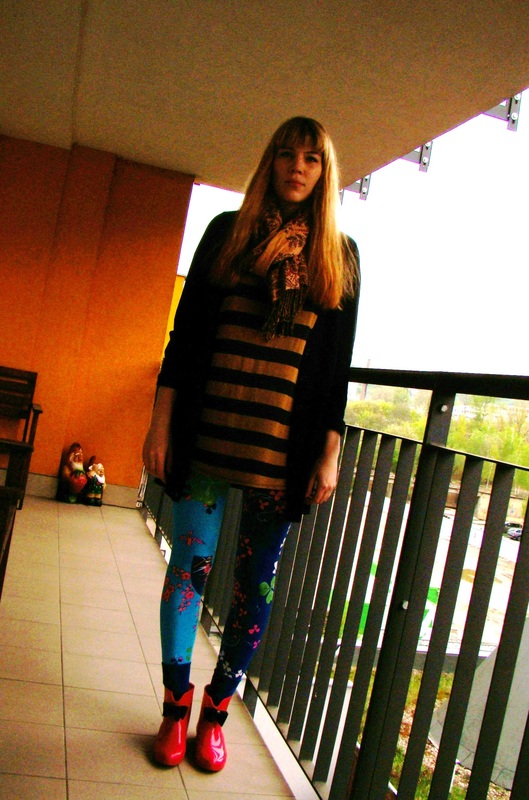 It’s on rainy days especially that I like to brighten things up and have fun with my outfits. It’s because when it’s dull and grey outside, I don’t want to add to the dullness and greyness. I also love to wear bright pink, stripes and an interesting (floral) print – not necessarily all together but hey, why not? The outfit above was worn only to walk Mr. Pig and consists of one of my favorite swapped tops, which I often lounge in at home, a pair of crazy leggings from the Versace for H&M limited edition, the sweater is super old and is from H&M, the scarf is also H&M, I have no idea where the socks are from – actually I think I may have stolen these from M after they shrunk in the washing machine. 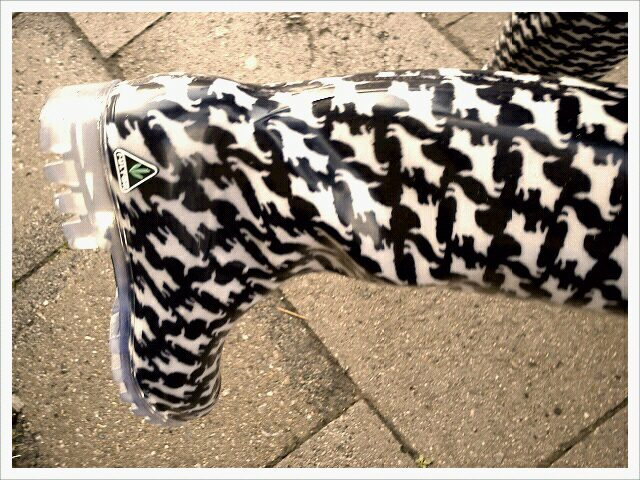 And the fun bright rain boots are from Gate. The photo below is of another outfit, I wore this to work and had actually just bought that umbrella because it was raining so hard and I always forget to bring an umbrella. I needed a new one anyways, as M had lost my pale pink almost beige Topshop one that I had lent him. This one is from Sixx and is more pink and more coral so I like it more. The shoes I had just swapped that day, I don’t know what brand they are but I love the colors and was happy to change into them as the rain was particularly brutal that day (and a pair of jelly shoes is always better in the rain than a pair of leather ballerina flats). Oh and the red dress is a recent purchase from Asos. 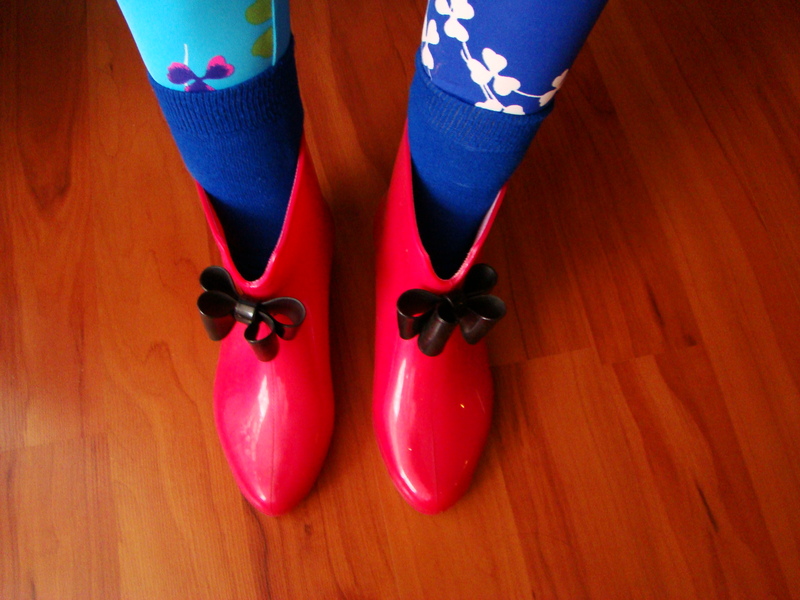 I thought I’d share with you some more rainy day outfits that I have worn – I actually have quite a collection of rain boots. 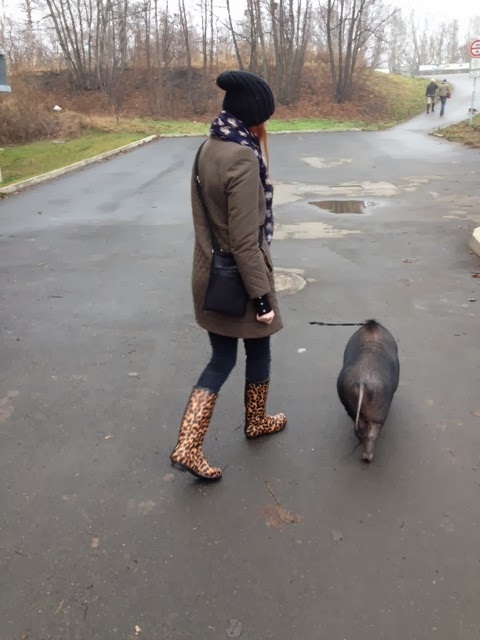 What do you wear when it rains?